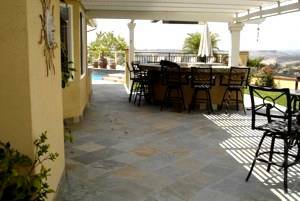 Modern Image Landscape Construction can provide you with the perfect landscape design for your home or business in San Diego that meets all your needs. Whether it's a small office building, a restaurant or a large commercial project we can create a professional landscape design with the right night lighting, trees and shrubs to enhance the look of your San Diego residence or business. Our experienced team in residential and commercial landscape design and construction can develop your initial concept plan. The design process begins with an initial appointment with one of our Designers at your home or place of business. The site will be analyzed and measured by the Designer. Any of your ideas or suggestions will be exchanged with the Designer based on your Landscape needs and desires. The designer will then illustrate a concept plan including essential elements for the landscape design for the hardscape and the softscape of your project. Following this initial appointment, your design will be completed and presented to you in a timely manner. Modern Image Landscape will then provide you with a landscape estimate based on your final design. If you would like us to completely design your landscape, please call us or fill out our landscape design quote request form. You can also see a sample of a complete landscape design project.